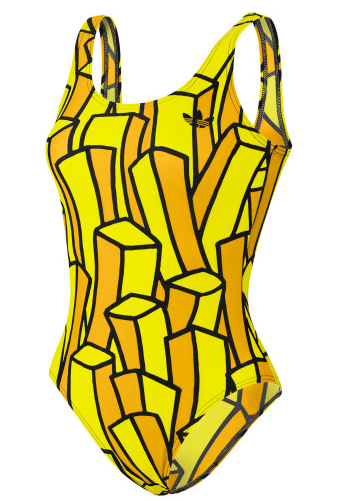 Oh Jeremy Scott, you always crack me up! Rock this suit while swimming laps at 5 AM as a reminder as to why you're torturing yourself! Buy at Adidas for $80.